Interpersonal racism is a component of individual level racism and has been defined as “directly perceived discriminatory interactions between individuals whether in their institutional roles or as public and private individuals” (Krieger, 1999, p. 301). Interpersonal racism includes maltreatment that the targeted individual attributes, at least in part, to conscious or unconscious racial/ethnic bias on the part of the perpetrator of the maltreatment. Interpersonal racism can occur in a wide variety of venues and can be communicated through a range of attitudes and actions (see Taylor & Grundy, 1996).These actions and attitudes can include acts of social exclusion, stigmatization, unfair treatment, and/or threats and harassment (Brondolo et al., 2005; Contrada, Ashmore, Gary, Coups, Egeth, Sewell, Ewell, & Goyal, 2001). 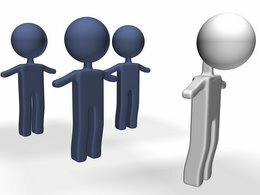 Social distancing and stigmatization: Beliefs about the inferiority of different groups can lead to episodes of verbal and non-verbal behavior that communicate exclusion (e.g., failing to smile or engage, avoiding eye contact, or ignoring requests to participate) and/or rejection (e.g., physically moving away from the targeted individual, turning away from requests for help) and/or disrespect (e.g., name calling, non-verbal expressions of disgust or disapproval). Discrimination at work or school: Stereotypes about competency, honesty, or diligence can block the creation of opportunities for employment or education (cf., Steele, 1997). Prejudicial attitudes about the groups’ characteristics can lead a teacher or supervisor to overlook an individual’s strengths or fail to attend to areas of weakness. Threat and harassment: Targeted individuals can become victims of verbal and physical assault when the social barriers and protections against attack do not extend to those who are stigmatized. Useful resources for understanding different conceptualization of racism and ostracism include: Abrams, Hogg, and Marques (2005); Chen, Williams, Fitness, and Newton (2008), Mays, Cochran, and Barnes (2007), and Swim, Cohen, and Hyers (1998).